In Sweden, Christmas just isn’t Christmas without the traditional Yule Goat—or Julbocken. The origins of the Yule Goat aren’t exactly clear. 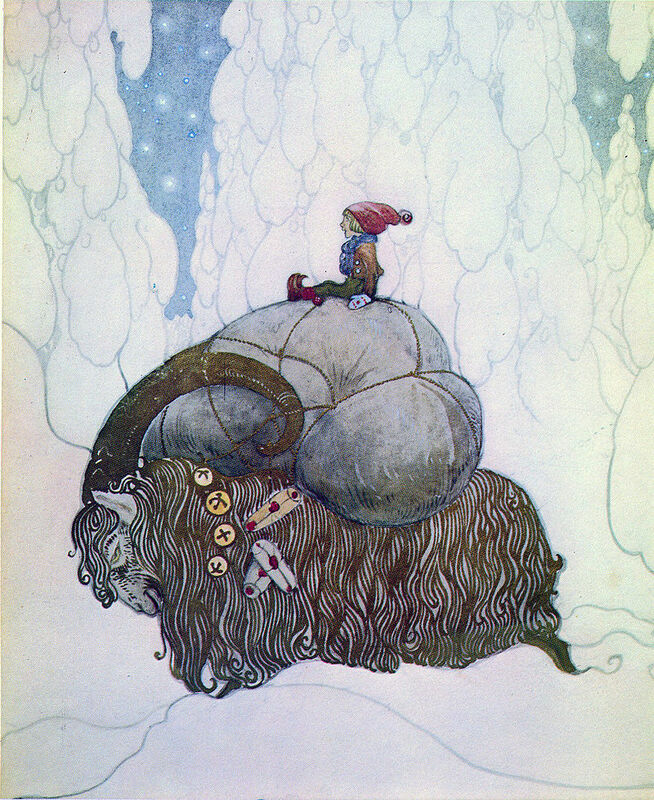 Some seem to think there’s a connection between the Yule Goat and Thor’s goats, Tanngrisnir and Tanngnjóstr, who pulled the thunder god’s chariot. There’s another theory of the last sheaf of grain in a harvest having magical properties. I like this theory, as it rather explains why Yule Goats are made of straw. An older Yule Goat tradition includes a type of caroling, with people dressed up (probably as goats, though I’m not sure if everyone did or if one guy was designated with the task). The carolers would often be given goodies after singing. This particular tradition—called julebukk–seems to have died out in the 19th century, but apparently a bunch of Norwegians are looking to bring it back rather than celebrate the newly adopted, and non-traditional, Halloween, to which it holds a resemblance. Then, of course, there’s the prank of the Yule Goat, where one would hide a little goat made of straw or wood in a neighbor’s home without them noticing. When it’s found, they’re supposed to perpetuate the prank by hiding it in someone else’s home, and so on. While that sounds all perfectly nice, I have to say I’m rather partial to the current Yule Goat tradition we have in Sweden—in Gävle, to be exact. See, every year since 1966, the town of Gävle has constructed a great big goat made of straw, and in its 49-year history, it’s been burned down 26 times. Technically, this isn’t part of the tradition, much to the dismay of the American tourist who—thinking it was a legal tradition–burned it down in 2001 and then got fined and spent a month in jail. Okay, so burning the goat down is technically considered vandalism/arson, but it’s one of those things that may as well be tradition. It was even put forth to the Gävle town council last year for the goat to be burned legally, under controlled conditions, but the request was denied. Whether you approve or not, you at least have to appreciate the creativity of some of the vandals. Like when two people–one dressed as Santa and the other a gingerbread man–set the goat on fire in 2005. And then there was the planned heist of stealing the goat with a helicopter in 2010, but unfortunately the guard on duty wasn’t bribe-able. You can find a timeline of the goat’s history (and whether it was burned or not) on Wikipedia. So far this year, the goat is still standing strong, and that’s pretty cool too. He’s a magnificent specimen of straw and lights and red ribbon, and it’s fun having him in the world. You can check out the Gävlebock for yourself on his very own goat-cam. Goat. Cam. How awesome is that? He’s also on Twitter, tweeting in both English and Swedish. With or without goats, have a festive and happy winter season! Yay for Yule goats! I would have loved to see the surveillance footage of Santa and the Gingerbread man lighting the goat on fire. Merry Christmas! Happy New Year to you, too, Sarah! I’m thinking I may start hiding goats in friend’s houses, then directing them to this post. It’s a pretty epic idea!